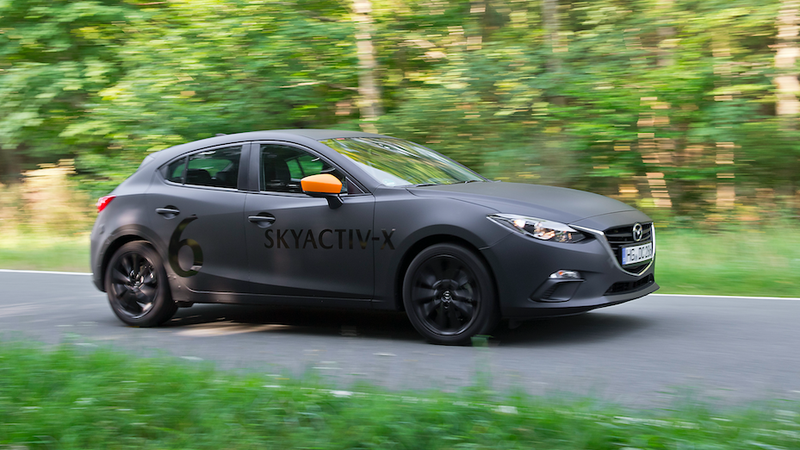 How to interpret "PR speak"
Mazda told Jalopnik the company is still exploring the SkyActiv-X technology for its full potential. As it stands, the initial excitement over the new technology was its improved and more reliable efficiency gains over the SkyActiv-G engines. But its efficiency in combustion also has the potential to produce more power compared to a normal gasoline engine of similar displacement.This could be where Mazda’s focus for the engine is at now. Moro mentioned that the company is fine-tuning the engine in preparation for production, and that he believes the engine needs to do more than just get better fuel efficiency, since gas prices are low and it would be tougher to market it on fuel savings alone. Skyactiv-X does this by actively monitoring the pressure in each cylinder, so it knows the pressure rise trace of every combustion event. If it deviates, the spark timing is adjusted to compensate. Jay Chen, one of Mazda’s powertrain engineers, explained that this was something the company had been thinking of for a while, but it has only recently been made possible now that engine control processors are fast enough to control things event by event. From the outside these looked just like regular Mazda 3s, but those looks were most deceiving. Under the hood of each was a Skyactiv-X engine, encased in covers because their NVH characteristics are closer to a diesel than a “normal” gasoline engine. That indicates to me that they are pretty much running this thing right on the razor’s edge of detonation. Good for efficiency, but oh man, if everything isn’t perfect then bad things will happen. And of course this is all reminiscent of the SkyActiv-D diesel which has been coming “real soon now” for what, years now? Westbrook incorrectly states you can get a CX-5 with the -D; it shows up on Mazda’s site as a “future vehicle.” But check the URL of that link- it was supposed to be here for 2017. Mazda has said they will work the hardest at getting everything possible out of the internal combustion engine, and to their credit they’re trying. But I think they’re getting themselves into trouble by over-promising before they really know whether their ideas are going to work in the real world.